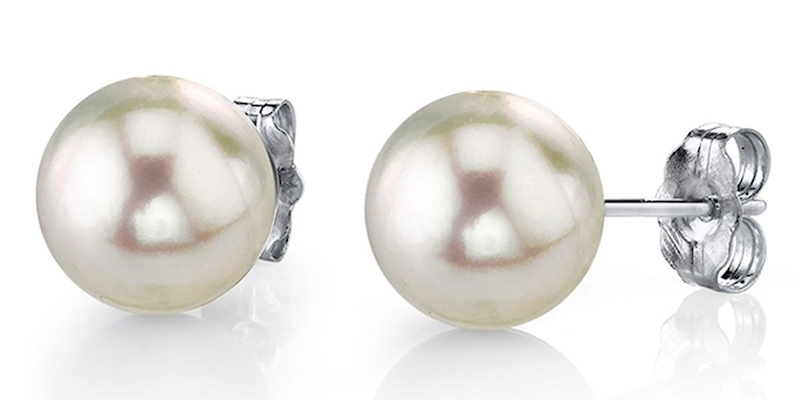 Akoya pearls are adored by gemstone lovers around the world. With their eye-catching lustre and beautiful hues, these gorgeous pearls never disappoint. From pearl type to pearl sizing, we&apos;ll educate you on everything you need to From pearl type to pearl sizing, we&apos;ll educate you on everything you need to pick the perfect jewelry piece. 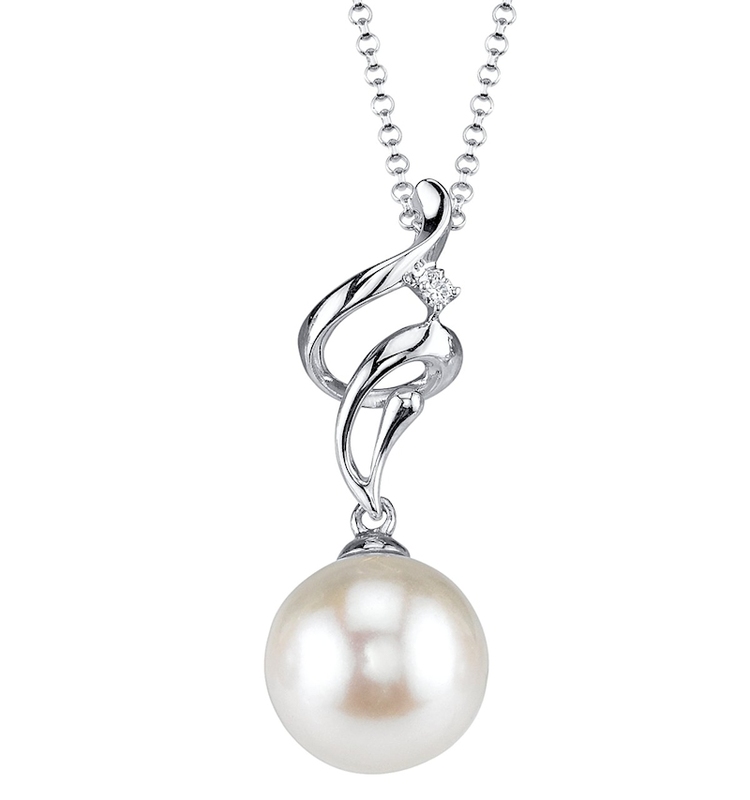 The Akoya Pearl is said the be the oldest cultured saltwater pearl in history. It comes from the Akoya oyster and is the most abundant type of saltwater pearl on the market. 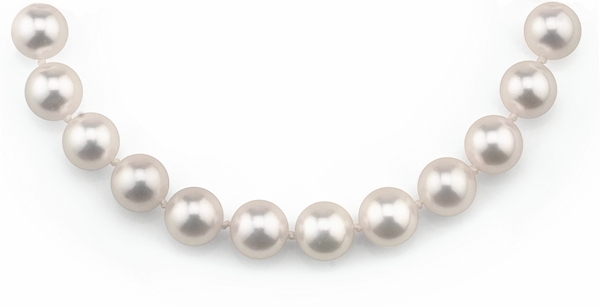 Jewelers commonly use this classic pearl type to create pearl necklaces. Yet, they are also used in the creation of other types of pearl jewelry. These classic gemstones generally come in perfectly round shapes. They feature neutral colors and luster so bright, it’s almost mirror-like. Culturing these gems is a tedious, yet a safe process that takes place on pearl farms. Their oysters are nucleated using small pieces of mantle tissue and mother of pearl. So, the process is 100% safe for the oysters, and the environment. Cultured Akoya Pearls come in a wide variety of sizes. 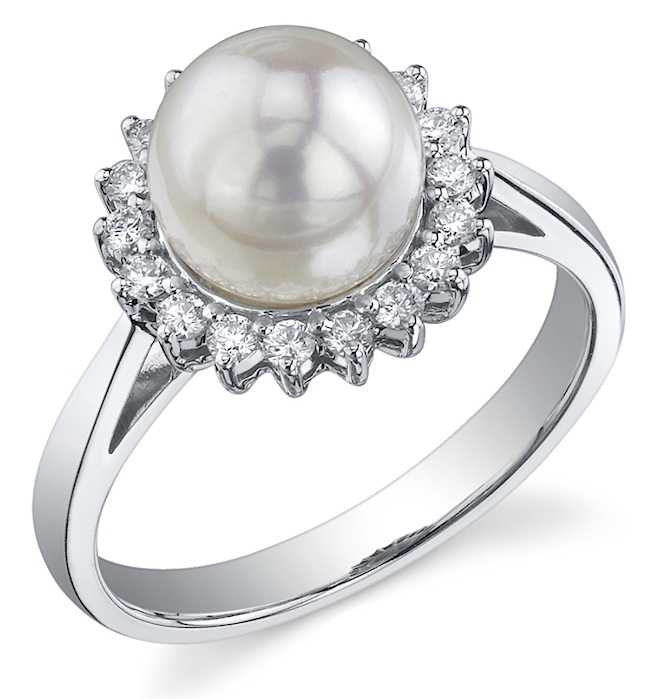 Thanks to the art of cultivating pearls, these gems can be found in sizes up to 11 millimeters large. Although most are round, they can also be found in Keshi and baroque shapes too. Their neutral colors and rosé overtones make them perfect for the classic look. They are most commonly used in the creation of pearl earrings and strands of pearls. 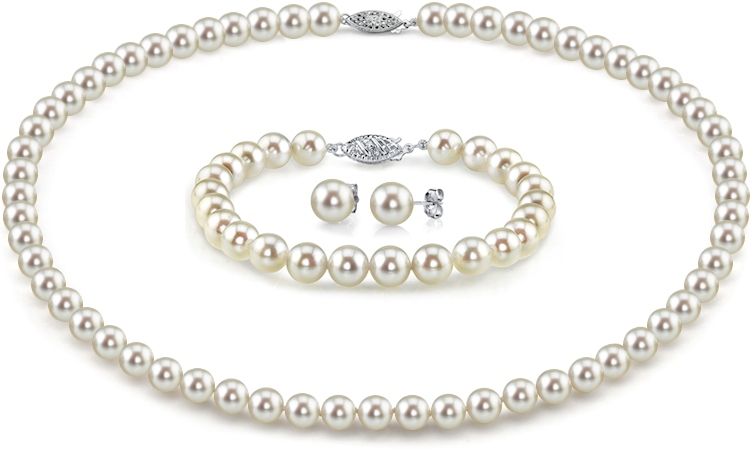 These high-quality pearls also look amazing when used with other gems in jewelry. Set them with white gold clasps or yellow gold posts and you have a masterpiece that will last you a lifetime. There are very few blemishes on the pearls. And, their luster is so fine, you feel like you’re looking into a convex mirror. The details these gemstones reflect will absolutely amaze you! Because they come in perfectly round shapes, near-matching is rarely an issue with cultured Akoya pearls. That means buying a strand of pearls will leave you with a virtually flawless piece of jewelry. These are fine pearls, meant to be worn at formal, upscale and “nicer” events. They are classic pieces for the church, dinner parties, holidays, family gatherings and weddings. 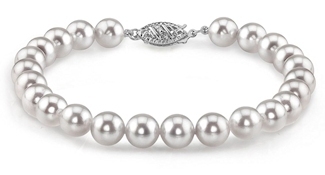 Akoya pearls are adored by pearl lovers around the world. Visit our online pearl jewelry store and check out their eye-catching luster and gorgeous hues today!